France Cargo International (FCI) have been specialising in project cargo and heavy lift services for over 25 years. 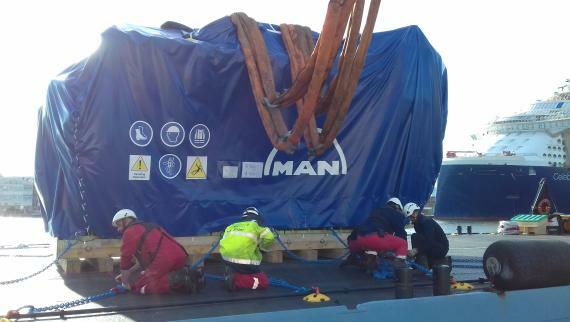 This month, they have shipped a MAN motor from Saint Nazaire to the final destination of Abu Dhabi. 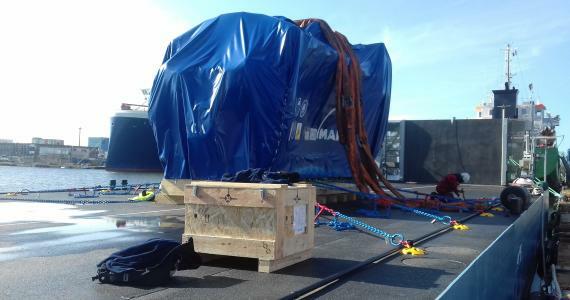 The motor, weighing 115tns and measuring 8.59 x 3.77 x 4.85m, was loaded and lashed onto a barge at Quai des Charbonniers using a heavy lift shore crane. 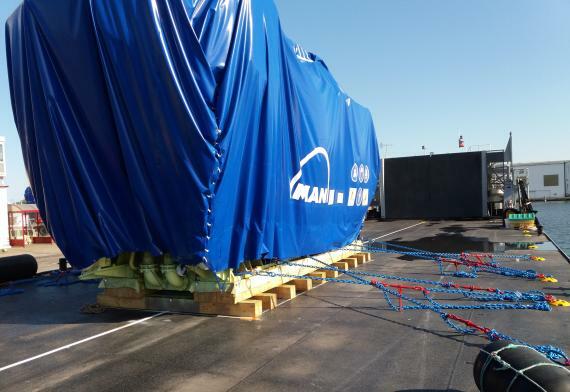 It was then transported to a nearby pier for barge coupling to a Rickmers vessel and it was loaded onboard the ship from the barge using the vessel's crane. 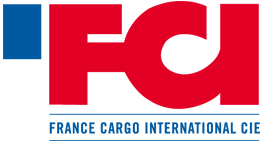 Chairman and Executive Manager at FCI, Denis Mandil comments; "We had no time to move the cargo by truck to the loading wharf due to a delay in getting the right permit and road equipment so we had to use the barge to directly reach the master vessel." Photos of the cargo can be viewed below. A job well handled by France Cargo International!